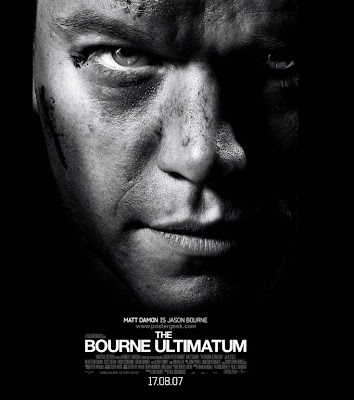 I went to see “The Bourne Ultimatum” this past weekend and loved it. Absolutely thought it was great. For a movie that moves that fast, you never lose your place, which is testament to the director (Paul Greengrass), even thought the script is really nothing more than one long chase scene. And while it was enjoyable to the end, I also wondered, as the credits rolled, if the film also signaled the demise of the mystery movie as we once knew it. “The Bourne Ultimatum” is kinetic, it’s exciting, it has great locations (although the various international cities we zoom through are not really used to the best effect), and the acting is tight and lean. But it starts off running, and never lets up. Is this the new whodunit? I happen to be reading a Nero Wolfe book. That venerable detective, by extreme contrast to Bourne, never leaves his brownstone in New York City. He reads books. He tends to his orchids twice a day and eats grand meals prepared by Fritz Brenner, the cook of the house. The most exciting thing he does is take the in-house elevator. It’s Archie Goodwin, his trusted right hand man, who leaves the house, but the errand is usually simply to question someone. Goodwin rarely draws a gun, although occasionally he has to punch someone. Occasionally. There is some fairly amusing banter between Goodwin and Wolfe, and once in a while a detective, maybe Inspector Cramer, from the New York City police department shows up. Not exciting, but highly enjoyable. No one has ever adapted Nero Wolfe to the screen with any success, and the chances of that happening now are probably, well, zip. My point is, after watching “The Bourne Ultimatum”, is that the old-style detective whodunit, about the guy who pieces together a mystery all on his own, through his wiles, is not meant for this age any more. There have been several adaptations of Nero Wolfe. I remember William Conrad took a chance on the character in the 1970s, and I remember the characterization was demeaning and insipid. In the 1990s, he was played by Maury Chaykin, and Goodwin was played by Timothy Hutton, which was pretty good casting. That didn’t last long, either. I think there was an attempt at a movie series back in the 1940s. I once had a fantasy that Orson Welles should have directed a Nero Wolfe picture with Jackie Gleason. Wolfe, you see, is obese. 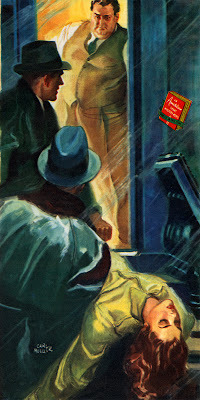 But his books continue to sell, as do countless others by mystery writers who have created memorable detectives. Just read the crime novel section in The New York Times Book Review every Sunday and you’ll see a plethora of new books, with enduring detectives, solving crimes to great praise by the resident critics. It seems to me that almost none of these books -- which were once great fodder for the screen -- get adapted any more. The question would be “why?” But even though these characters have been modernized -- they suffer from addictions, self-doubt, punishing personal lives -- they still more or less go about solving crimes the way Sherlock Holmes did -- through the delicate if unexciting art of detecting. 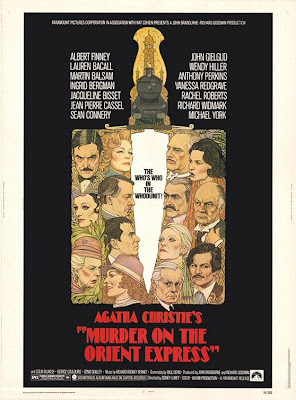 I can’t think of a movie modeled after the old “Murder On the Orient Express” variety that has been released in recent years. There is the odd police crime picture, of course, but those are crime dramas, not whodunits. TV was -- and is -- a different matter, but it is recreating itself in such a way that the old style has been pushed out. When I was growing up, detective series populated TV. There was the NBC Mystery Movie omnibus, “Columbo”, “McMillan and Wife”, “Banacek” -- and others. There was “Barnaby Jones” (good God), “Mannix”, “Cannon”, “Mission Impossible” -- you name it. There are still detective shows on TV -- of course “Law & Order” is one (and the elegant exception to this rule), but also the CSI franchise, as well as “NCIS.” But these shows for the most part are amped up through another kind of special effect -- the viscera of the human body -- that gives it its own modern stamp, and one that removes it far enough from the old model. And they are so cluttered with characters, there is little room for one to stand out as a full-bodied person. This is following a pattern. Jason Bourne is more of a symbol than a character, more movie star than everyman. The older detectives were very much human (think Spenser) -- more clever and handsome than the rest of us -- but still very much human. 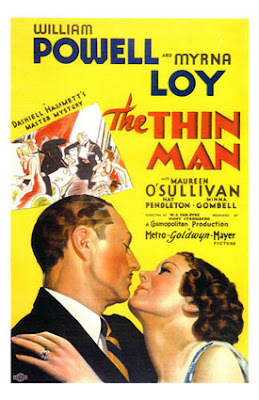 I still think, if done correctly, we could have a new “Thin Man”-type series, an actor like Kevin Kline comes to mind, but of course it would take a writer and a producer with some guts to put it out there. But I’m certain, with Jason Bourne, all-muscled out and removing himself from impossible car wrecks, is the future. Entertaining, to be sure, but without that old individual panache.